Maybe you were bitten by the beauty bug back when you decided to put glitter in your dolls’ hair. Maybe the calling came later in life. Whatever the case may be, you’ve decided a career in beauty is for you and you’re ready to take the next step. For most, that step means enrolling in a cosmetology program to receive the training you need to fulfill your dream. But one important thing to know is that not all cosmetology schools are alike. Here are six things to check out before you enroll. Why this matters: According to the experts at BeautySchoolsDirectory.com, an accredited school is governed by the National Accrediting Commission for Career Arts & Sciences, or NACCAS. This organization defines rules and curriculum requirements, and sets industry standards. Also, it may be a great resource to obtain financial aid for an accredited school. What percentage of students pass the state’s licensing exam? Why this matters: Every state requires students to take an exam in order to obtain a cosmetology license. The tests are different in each state, and generally consist of a written portion and a hands-on practical portion. Your chosen cosmetology school should prepare you to take both sections of the test. BeautySchoolsDirectory.com recommends looking for a school with a pass rate between 70 and 100 percent. Why this matters: You’ll want to ensure the school works with your budget. You should also check to see if books, cosmetology kits and test prep materials are included in the program, and whether the school offers financial aid or scholarships. What skills and techniques are taught? Why this matters: Depending on the type of beauty professional you want to be, you may wish to study makeup, skin care, massage and/or nail techniques. 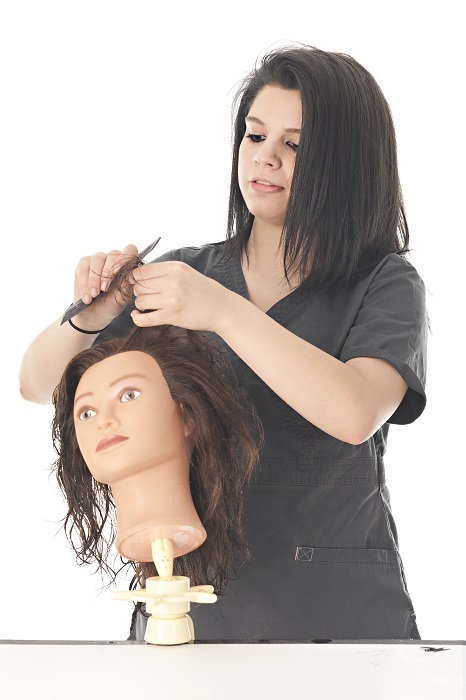 To be a hairstylist, you’ll need basic training in hair cutting, coloring and styling; you should also have a foundation in anatomy, sanitary practices, and chemical texturizing techniques like perming, smoothing and relaxing. To be successful, you’ll also need to understand how to offer great customer service as well as basic business skills like marketing yourself and your services and managing your money. What are the school’s graduation and job placement rates? Why this matters: Salons often have recruitment relationships with top schools in their areas, and high graduation and placement rates are indications of these alliances. New York salon and school owner Nick Arrojo recommends visiting some salons in your area and asking if they recruit from the schools you are considering. Why this matters: Many schools have programs that go beyond standard training that enrich your educational experience, broaden your horizons and speak to your specific interests. For example, if you love travel, the Penrose Academy in Scottsdale, AZ offers a study abroad program—each year students have the opportunity to travel overseas for guided sightseeing, hands-on education and cultural exploration. If you’re philanthropically-minded, The Paul Mitchell Schools all take part in annual “Fun-Raising” activities to raise money for a variety of charities. Is Online Booking Right for You?